Complaints are defined as any student, faculty, or staff concern regarding the school programs, services, or staff. A student, faculty member or staff member who has a concern about a school-related issue is encouraged to schedule a conference with the Academic Director to find resolution (if the issue is regarding grade disputes, please see procedures under “Academic Standards of Progress” in the most recent Academic Catalog). If the issue is not resolved to satisfaction through the conference, the student, faculty member, or staff member can file a formal complaint in writing with the Academic Director who will formally investigate the complaint, take appropriate action, and provide a written response to the individual by the 10th business day after the day the formal written complaint is received. Note: a conference with the Academic Director is not required before a student files a formal written complaint. 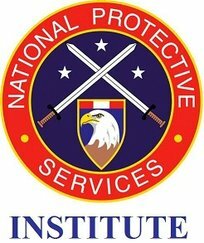 Complaints should be e-mailed to Complaints@NPSIonline.net. Additionally, individuals can call (210) 737-7233 to schedule a conference with the Academic Director. A student who is dissatisfied with the Academic Director’s response can file a complaint with the Texas Workforce Commission. The TWC-Assigned school number is S3927. The school’s programs are approved by the TWC, as well as the Texas Department of Public Safety. Students must address their concerns about this school or any of its educational programs by following the grievance process outlined in the school’s catalog (above). Schools are responsible for ensuring and documenting that all students have received a copy of the school’s grievance procedures and for describing these procedures in the school’s published catalog. If, as a student, you were not provided with this information, please inform school management. Students dissatisfied with this school’s response to their complaint or who are not able to file a complaint with the school, can file a formal complaint with the TWC, as well as other relevant agencies or accreditors, if applicable. Information on filing a complaint with the TWC can be found on the TWC’s Career Schools and Colleges website at http://CSC.twc.state.tx.us. StudentComplaints@thecb.state.tx.us, or by mail to the Texas Higher Education Coordinating Board, College Readiness and Success Division, P.O. Box 12788, Austin, Texas 78711-2788. Facsimile transmissions of the forms are not accepted.